My fate with motorcycles was sealed long before I was even a thought in my parents mind. Fueled by my father’s lifelong passion for motorcycles, an adventurous spirit and moto-driven enthusiasm was inevitable. Early recollections of watching my dad gearing up for rides sparked my curiosity at a young age and began my fascination with motorcycles. Raised in the beautiful Tucson Sonoran desert, just south of us, Mexico was a common travel destination. As kids, my brother Aaron and I grew up riding quads in the sandy dunes of Puerto Penasco and dirt bikes in Baja. Mexico has always been a special place full of adventure. Life got busy in college and motorcycles where put on the back burner. In 2011, a shiny red, new to me BMW g650 GS entered my life and changed my adventure world as I know it today. “Tuffy” earned her name 4 years later on a 5,000 mile trip across mainland Mexico to Guatemala. I took a motorcycle safety class to refresh my skills and get my motorcycle license. My dad also schooled me riding a gsxr600 on the race track at Inde Motorsports Ranch where I took a few AMA pro-race schools. Learning the technique of trail braking and body positioning on the bike was a game changer. The following year I had international travel in mind, specifically traveling by way of motorcycle. The idea of traveling with everything you need on your bike appealed to my sense of freedom and adventure. While I daydreamed of quitting my job and traveling the world, I knew that wasn’t a reality for me. Traveling one section at time, whether it is a quick weekend trip or a rare month long journey, I set out to ride the world. I researched some travel companies landing on Edelweiss and found a route called the ‘Adriatic Roller Coaster’ that included Austria, Slovenia and Croatia. My original intent was to travel abroad solo, but after telling my dad about my plan, I saw his excitement and invited him to join. The most unforgettable 3 weeks traveling with my adventure mentor, the man who taught me how to ride, how to enjoy life to the fullest and to be able to share this journey was just the beginning of many more. We came back to the states and my dad started planning a trip he had done twice before from Tucson to Guatemala. A year later we set off from Tucson, my mom Jeannie and dad AKA Baja Mike or Mexico Miguel on their BMW 1200GS two up and me on Tuffy. This trip was not without challenges. The day we left Tucson was unusually cold and pouring rain but we pushed on through and stayed at Playa de Cortez in Guaymas, Mexico on our first night. Day two was a day I will never forget. It was planned to be a 450+ mile day and we got a late start. Our destination was Mazatlán. We have a general rule of no riding at night but the sun had just set. We were just outside of Culiacan when my dad came on the intercoms to tell me we would get off the road and stay the night in Culiacan. We were on a divided highway two lane road and I had just moved over in the left lane trying to tell him the inside lane was safer from animals since it had a concrete barrier on the left. We crested the hill and all I saw directly in front of me were bright head lights as the truck struck my right side head on. My parents were unaffected by the truck in the right lane, but my mom watched the accident happen in the side mirror. The truck had been going the wrong way on a two lane divide highway. On impact, I was thrown off the bike at 65 mph landing, sliding and watching my bike grind across the asphalt in a bright display of sparks as we both slid for what seemed like forever. I kept thinking the lights where going to go out and my ride on earth would end. The lights never went out and eventually I stopped sliding across the highway. Meanwhile I was still on intercom with my mom and dad, who heard the horrific sound of metal striking metal as the truck collided with my motorcycle. My Jesse bag was sheared off and the contents scattered everywhere. A large bus behind me had witnessed the whole thing and stopped. Strangers got off the bus and began helping grab what they could of my personal items strewn across the highway. Miraculously ‘Tuffy’ was beat up and missing some pieces but they got her running and someone from the bus offered to ride her. My mom and I got on the bus and they offered to take us to our intended destination in Mazatlán while my dad and a one of the passengers road my bike for the next 100 miles. I was in shock, had some scraps, a badly broken finger (I would confirm this a month later), some bruising but nothing life threatening. We are forever grateful for the bus and the people that stopped to help us. We spent the next few days in Mazatlán, deciding if I was well enough to ride and if Tuffy was going to be able to be repaired for long haul travel. We found a welder for my bike and a seamstress that helped sew and repair my gear. A note here on gear, I truly believe that all of the gear I had on saved my skin and most likely my life. I had slide for so long and at high speed the material melted on my elbow but ultimately kept me protected. I was wearing the REVIT mesh Tornado suit, BMW airflow boots, and a Schuberth CP3 helmet. I lost my SENA communicator in the accident but my helmet was still intact. This crash rooted a great appreciation for quality, use specific, well-fitted gear and would later play a significant role in becoming a REV’IT sponsored rider. Once we had my bike repaired and my body had a little time to recover I was faced with two choices: get back on the bike and ride home or get back on the bike and continue our adventure. 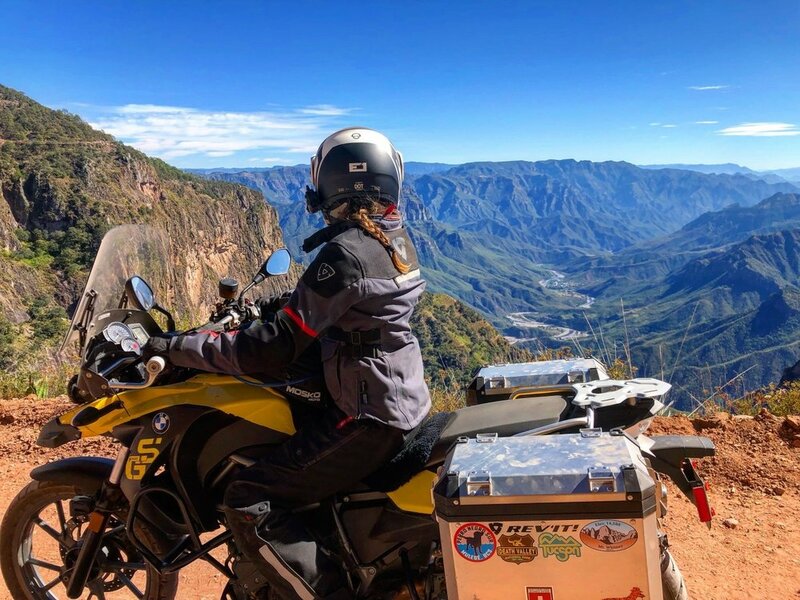 After my life had literally flashed before my eyes, getting back on the bike was a fear I knew I would have to face at some point and I made the choice that I was going to get back on the bike and continue our adventure. Not wasting much time, I booked another trip with Edelweiss, the Pyrenees extreme. Twisty roads in northern Spain and south of France winding through the majestic Pyrenees, the Tour de France by way of motorcycle. This time I headed over-seas solo meeting new moto friends. This was an absolutely stunning trip, the most amazing roads, mountain passes and scenery I have ever seen. 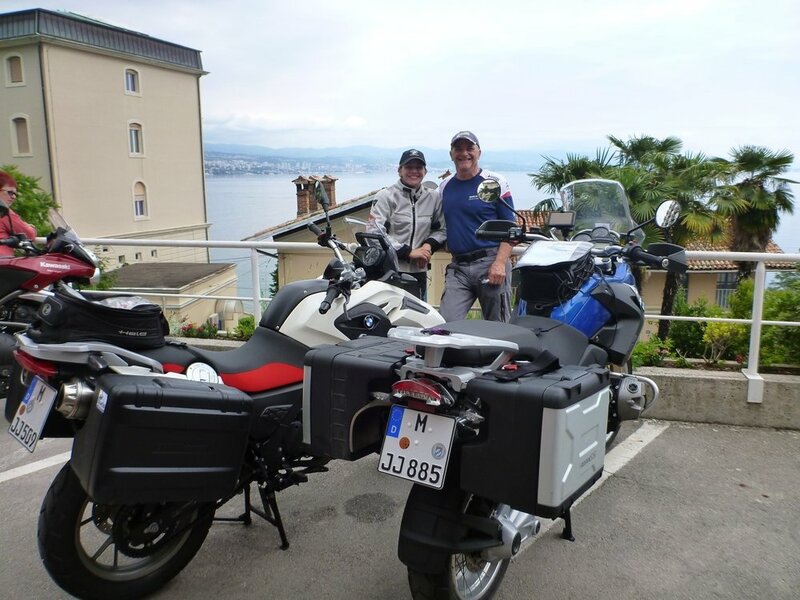 Shortly after my return from Europe, I re-connected with Justin, my now husband and we started riding together. We have known each other since college, but Justin spent 10 years overseas for work. 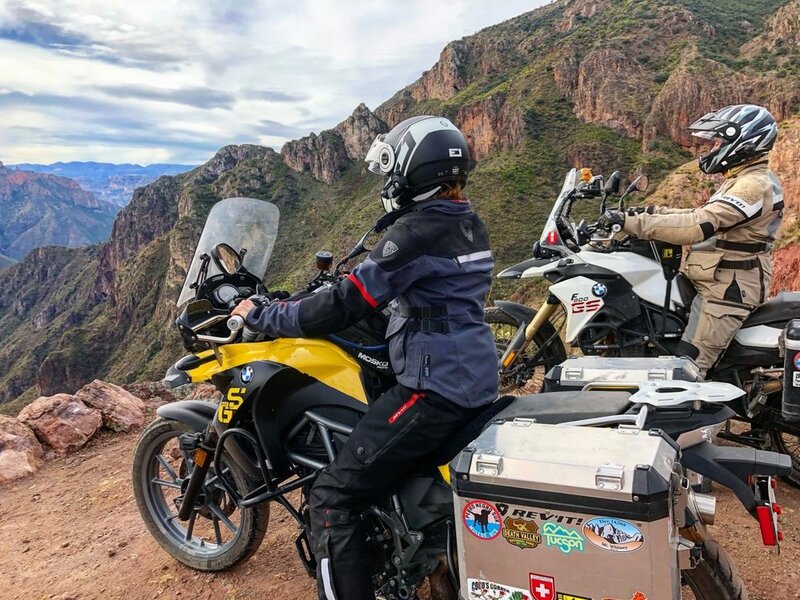 When he moved back to Tucson it didn’t hurt that he showed up with a white BMW800GS and his GS dry suit he bought after reading a review I wrote in BMW Motorcycle Magazine in 2014 while he was living in Germany. 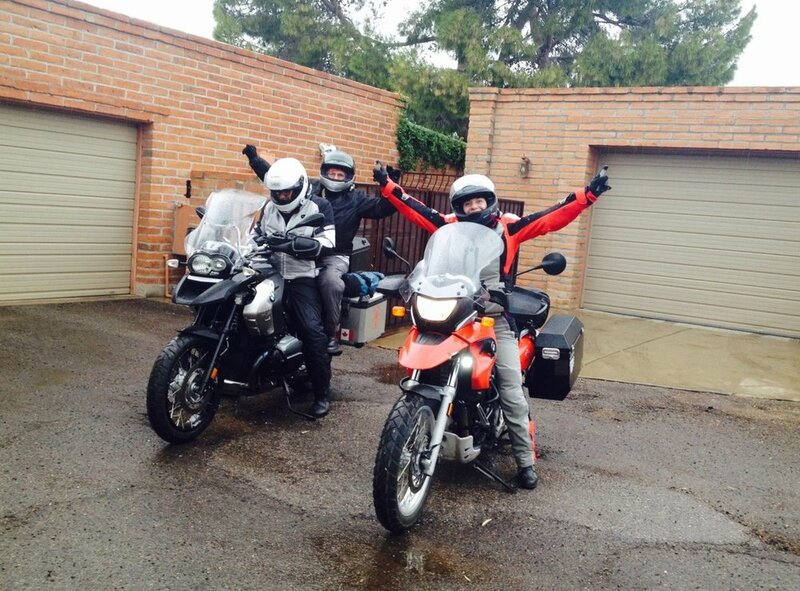 The first big moto family trip that Justin joined was a trip with my mom and dad to Baja in February 2016. Those of you that have been to Baja know, it’s a special place and truly the playground for adventure and dirt bike rides. Bringing Justin into the fold was a big deal, our family had a long history of travels adventures, Justin was patient with my wildly moto-centric dad and shared punny jokes with my mom. He saved the day on the second to last day of the trip when we sent him ahead to try to snag us the last room at Alfonsina’s in Gonzaga Bay. The San Felipe 500 was going on and all the surrounding area hotels were sold out. We celebrated with tequila on the beach and Alfonsina’s famous fish tacos and beers. In July of 2016 Justin and I camped off the bikes and road through Montana, Idaho, Whistler British Columbia, Vancouver to Seattle. In May 2017 Justin and I took a ride through Northern Arizona and Utah visiting Bryce, Zion, Valley of the Gods, Mexican Hat, Monument Valley and Paige camping along the way. Justin loves spending time researching the best routes for each adventure. Our most recent 11 day adventure was with my mom Jeannie, dad Mike, friend Ron and Justin to Copper Canyon, a jewel of mainland Mexico that rivals the Grand Canyon. My husband Justin and I are heading to Moab next month for a long weekend adventure and we just booked a trip with @epicmotoadv.com to ride in Columbia! We are really excited to ride the “Seven Wonders” with epiCO owner Ricardo Congote the first week of July, let us know if you want join us! 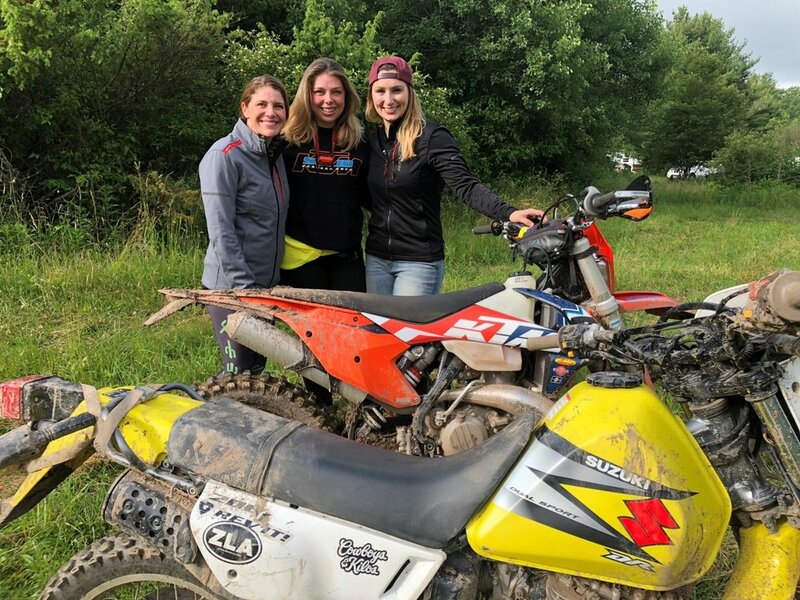 EMPOWERING WOMEN RIDERS AND REV’IT WOMEN’S TEAM: In 2016, Tracy Motz, Senior Marketing at REV’IT International launched the first all-female sponsored ADV team: The U.S. REV’IT! Women’s ADV Team. The group was founded as a way to spotlight the growing contributions by women to the adventure riding segment. 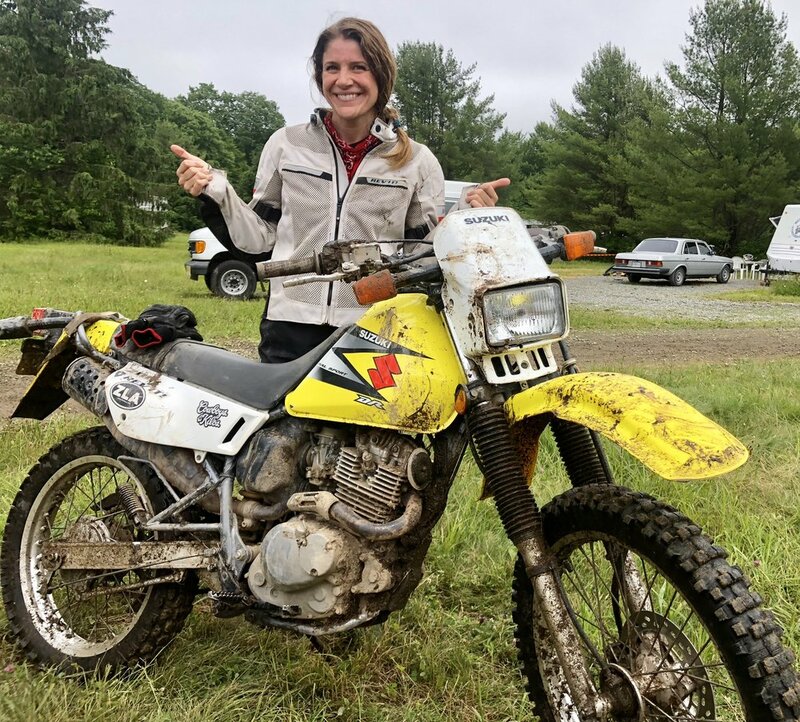 I joined the team to help expand the female ridership in the ADV community and to inspire other riders to explore their own adventures. No matter what kind of bike you ride, where you ride or how well you ride, we are all part of a motorcycle community. This team represents riders with a passion for ADV riding, involvement and leadership within the riding community, and the overall adventure-seeking spirit. 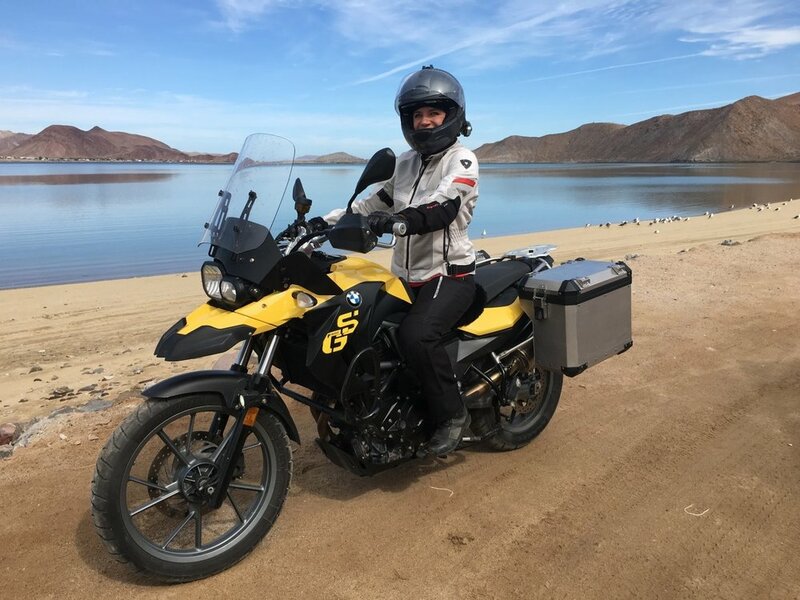 I am proud to represent a brand that has taken a vested interest in the growing women’s adventure riding segment and I’m always happy to connect with other riders to offer advice and inspiration, no matter where you are in the motorcycle journey. 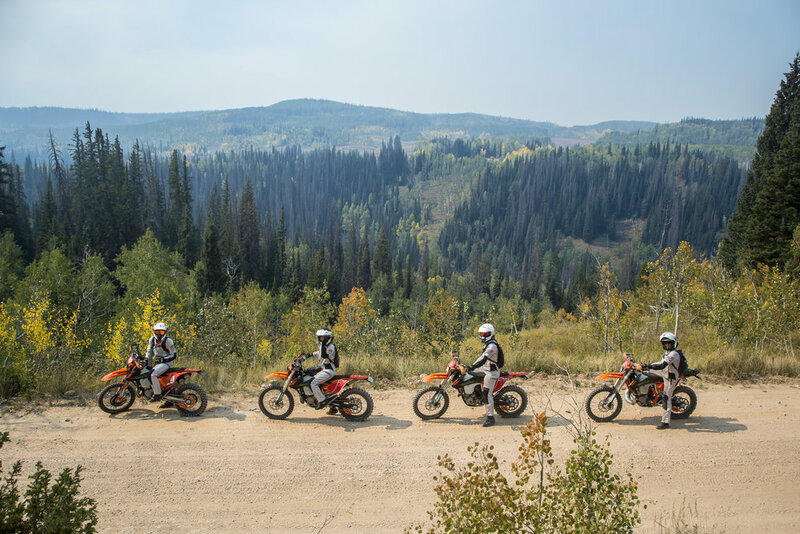 In the second year of the REV’IT Women’s ADV team we traveled as a team to the KTM Adventure Rally 2018 in Park City, Utah. It was pure joy to be able to ride with my female teammates and share this adventure. The KTM Adventure Rally brought just that, an adventure. As a team we navigated tough terrain hurdles, mechanical problems, and challenging natural features and weather. Through teamwork we coached each other, and escaped dangers together; like dodging a rogue broken trailer wheel hurtling down the road, or even lifting one of the crashed KTMs out a tree after an... incident. No matter the obstacle, we tackled them as a team. When you’re surrounded by people that share the same passion for motorcycles, it’s a real shared sense of community. Everyone at the KTM rally is bonded by this unique attraction to a sense of adventure on two wheels. I am proud to represent a small but growing population of women motorcycle adventurers. The riders at the rally where supportive and didn’t judge us even in our small statures, rather encouraged and empowered us as a group of like-minded adventurers. After riding a KTM 250 XC-W TPI all weekend, I can see why there is a genuine sense of loyalty to the brand and the rally. Riders from all over the county come each year to reunite with old friends and meet new. 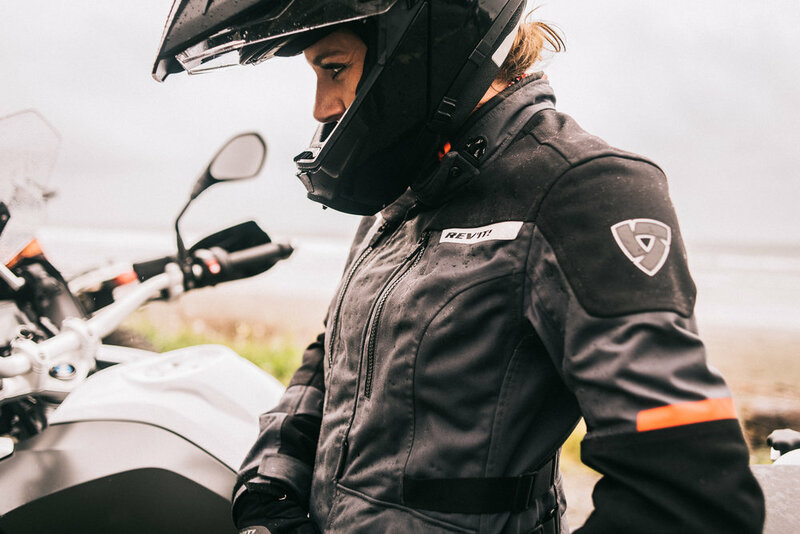 I really enjoyed meeting more riders in our riding world at the KTM rally and I am incredibly grateful to REV’IT for being an industry leader in supporting women riders and making gear that is truly trailered to meet women rider’s needs. Whether you ride a dirt bike, a duals sport or street bike, ultimately it doesn’t matter what you ride, we share the passion for the experience. 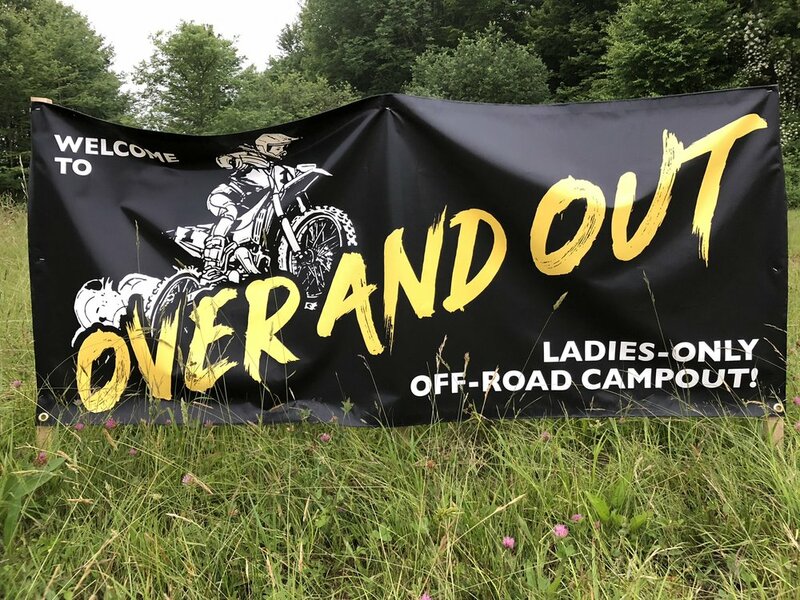 Over And Out was created to include all types of female off-road riders, and to provide both exposure and education on a variety of off-road riding styles, terrain and bikes. This includes woods, enduro and trail riding as well as dual sport and adventure riding. 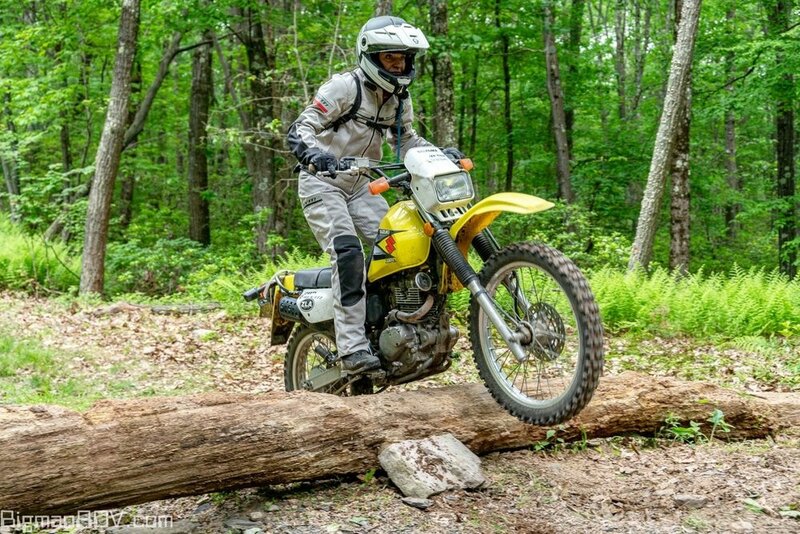 While you may have seen these girls exploring long-distance adventure and rally routes, they will also be mixing it up and hopping on enduros to ride the on-site woods trails at Over And Out. That’s what OAO is all about – seeing all that nature has to offer, learning the differences, and choosing your own adventure! Lastly, I'd like to thank my local BMW Motorcycle Dealer, Iron Horse Motorcycles for the support they have provided for me and the Tucson community. Please check out their new online store ironhorsemotorcycles.com and instagram @ironhorsebmwmotorcycles.